Day by day traffic-jam problems are bothering residents of big cities more and more. Yerevan, the capital of Armenia, does not stay far behind from megacities and the problems with heavy roads are becoming more common with the increasing numbers of cars. During rush hours traffic is overloaded, and sometimes you have to overcome traffic-jam thorns in order to get from outskirts to the city center. That’s why during your stay in Yerevan, we recommend instead of renting a car to take advantage of the bike rent. In this article, we will tell you about the companies that offer bicycle rentals, as well as a few words about the main cycling routes in Yerevan and outside it. Bicycle as a vehicle has a number of advantages and is an excellent alternative for driving. Moving around the city by bike, you will not only save money on fuel, save your time, but at the same you will keep in shape, because cycling has great impact on your health, helping to develop a strong heart and muscles. Among other things, bikes help maintain the health of our planet, because nowadays it is the most environmentally friendly form of transport. In Yerevan, in recent years, cycling has become a very popular pastime. 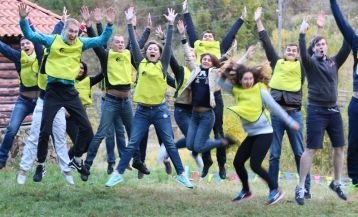 There are a lot of official and armature groups and companies that offer bicycle rental services, as well as make a variety of cycling tours from Yerevan to nearby places of interest. Yerevan, in fact, is not a huge megalopolis, that is why the guests of the capital can easily rent a bike and start the sightseeing around the city. This will not only help you save great, but you will have a chance to see everything to the smallest detail, stopping at almost any convenient place and time. 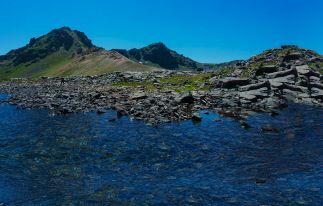 Armenia is a country of magnificent mountain landscapes and alpine meadows, plains and hills, woods and fields. 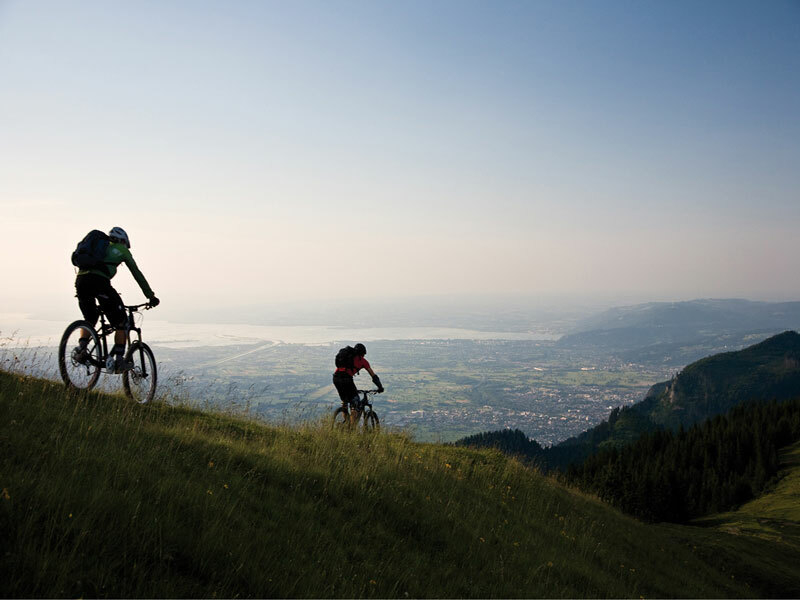 If you want to thoroughly enjoy its majestic nature, we advise you to organize bike tours around the country. One of the most popular cycling routes is the tour from Yerevan to Lake Sevan. The distance between two points is 66 km in one direction. The path goes through an extensive and convenient Yerevan-Sevan track, and travel time is approximately 4 hours at an average speed of riding (20 km / h). 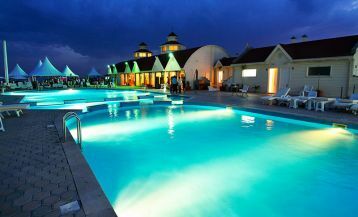 More professional cyclists can continue the journey from the Lake Sevan to the beautiful city of Dilijan, which is 35 kilometers away from the Lake Sevan. Another favorite route is Yerevan – Garni – Geghard. The distance is 150 km two ways. 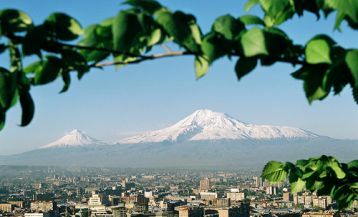 Garni – Gegard is the symbol and hallmark of Armenia, of course, after Mount Ararat. Here you can visit one of the few ancient pagan temples in the world; you can witness firsthand the “Symphony of Stones” and visit the unique monastery of Gegard, carved inside a huge rock. 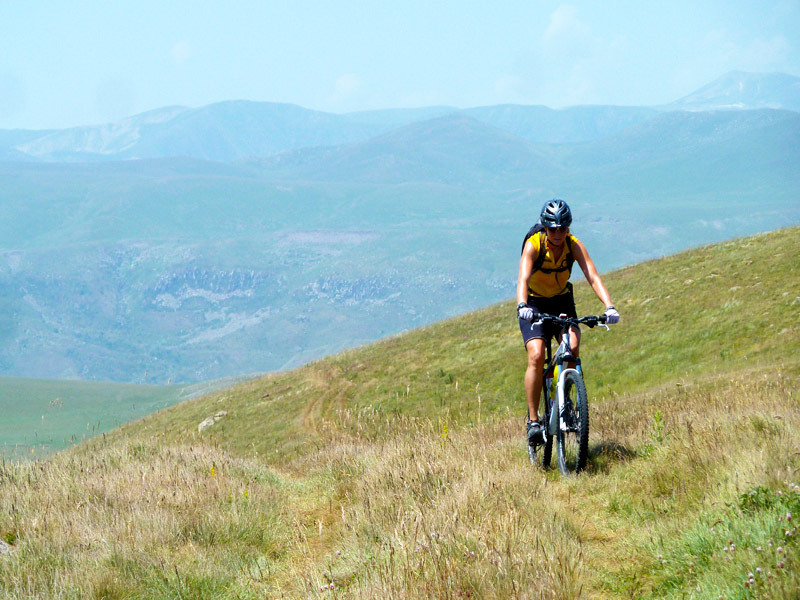 Our company is also ready to offer you a rich and thought-out Mountain Bike Tour to Armenia. If you do not have a physical endurance or willingness to make bicycle races at such long distances, we recommend you take a ride in the capital. In Yerevan there are many parks and gardens, but the most convenient from the point of view of the territory is the Victory Park, or as the locals say “Monument”. You can climb to the Victory Park by an escalator from the Cascade. Botanical Garden or Tumo Park are also perfect destinations for biking! Below we present the bike rental companies and their contact details. MyBike is one of the most famous shops of bicycles, accessories and spare parts in Yerevan. 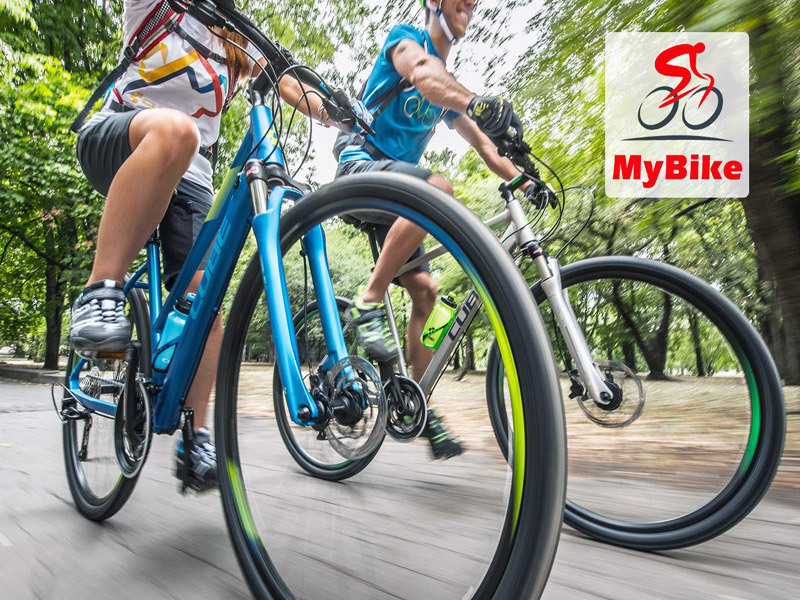 MyBike Shop has a great variety of bikes, both for amateurs and professionals. Here you can find such brands as Trek, Cube, Giant, Totem, Rollerblade, Salcano. MyBike also offers a large selection of women’s and children’s bicycles. 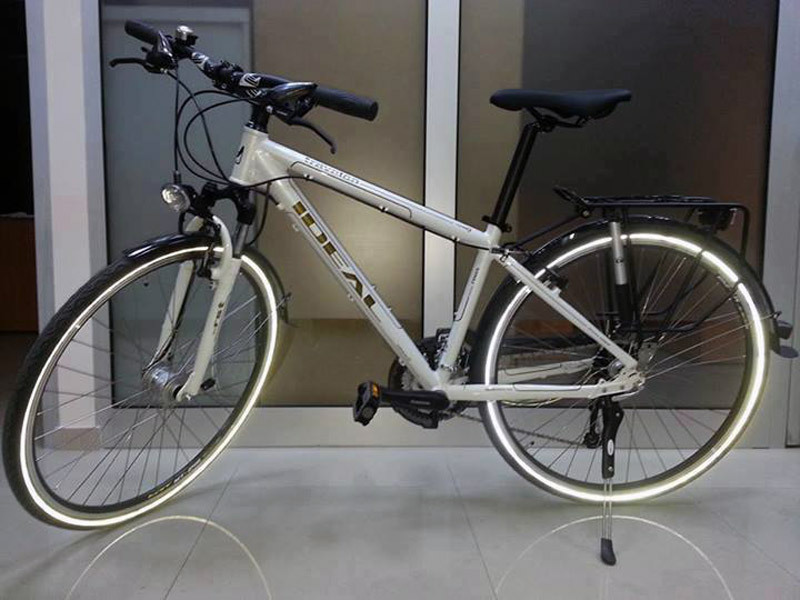 If you cannot buy a bike, do not worry, because MyBike offers bike rental service. The only thing you need is to present a passport. When renting several bikes the company offers special discounts! The price for renting the bike for 24 hours starts at 3000 AMD ($ 6.50). When renting a bike helmet is provided free of charge. Ideal Bikes Armenia store is the official representative of IDEAL and FOCUS bike brands. In addition to the sale of new and secondhand bicycles the shop offers rental services. Another bike rental center operates on the territory of the Botanical Garden in Yerevan. If you want to walk around the garden, enjoy the fresh air, we recommend you take a bike and ride on the vast territory of the Botanical Garden, away from the urban hustle and bustle. Daily rent is available at 4000- 6000 drams ($ 10-15). E-bike is the only representative company of the electrically driven bikes. Unlike mopeds, E-bike bicycles do not work on fuel and are completely silent. Bike rental costs 1500 drams per hour, the daily rent is 8,000 drams (17 $). Rental operates in the center of Yerevan. For fans of extreme sports Park Village Hotel offers bike hire in Tsaghkadzor. 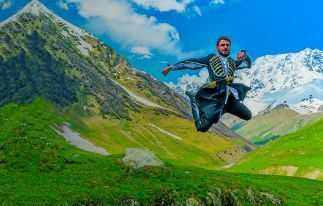 Thus, you will be able to admire the beautiful landscapes of Tsakhkadzor, make bicycle trips in the nearby mountains, and combine business with pleasure! Rental price per day is between 5000 -7000 AMD, depending on the type of bike.